Available in Multi Sets! 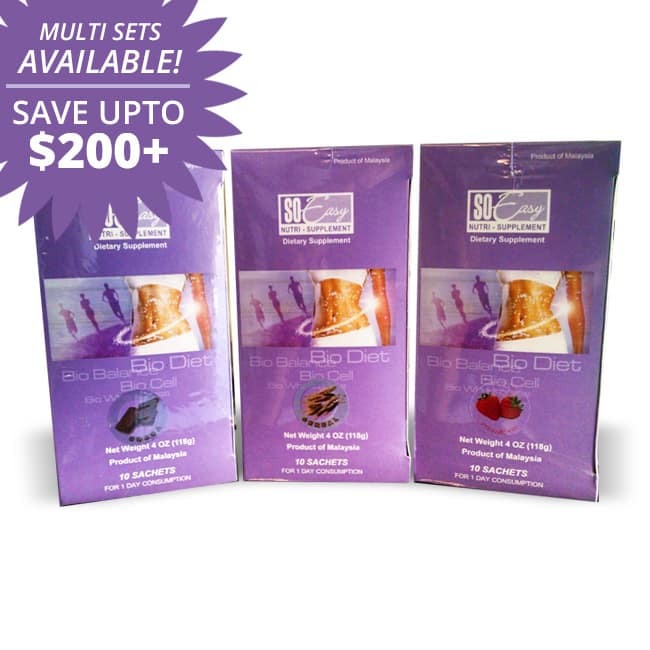 Order multiple sets and save upto more than $200! One set contains the So Easy 3 Day Colon Cleanse System, which includes 3 boxes (one for each day) that provide complete nutrition for three whole days including the wheatgrass, electrolyte drinks and 3 thick and tasty shakes containing the patented oil palm trunk fiber. The So Easy 3 Day Colon Cleansing is a nutritionally-balanced, safe, natural and healthy way for detoxification and weight loss at the same time. 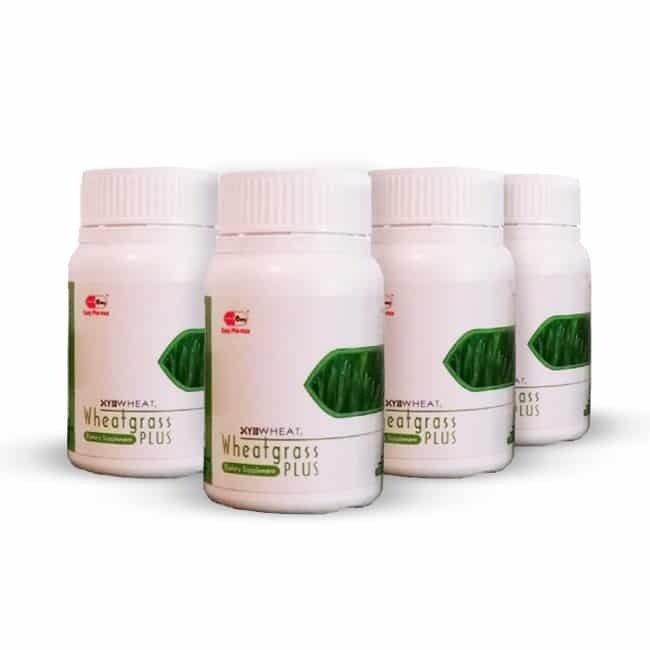 It helps in discharging major toxin called mucoid plaque from our body in a short period through 3 steps (see Main Function). The So Easy 3 Day Colon Cleanse is Non-GMO, All-Natural and Organic. 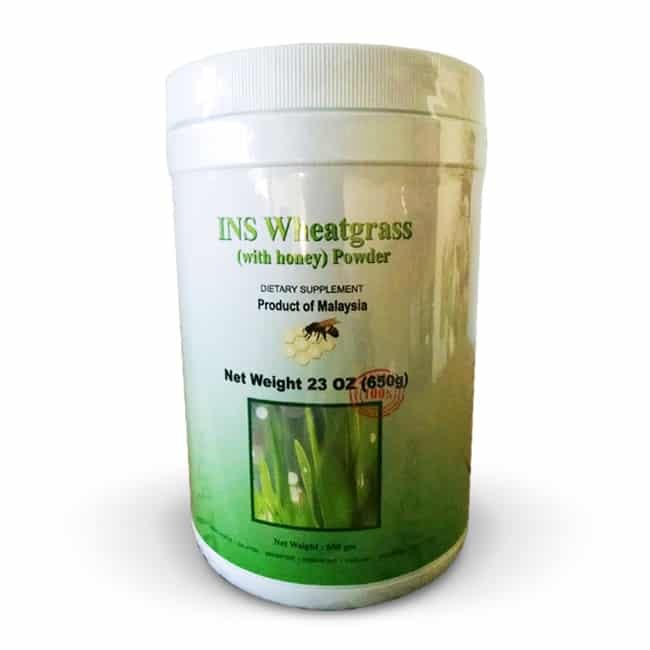 It does NOT contain gluten, wheat, corn, milk, egg, sugar, dairy, coloring, artificial sweeteners or preservatives. 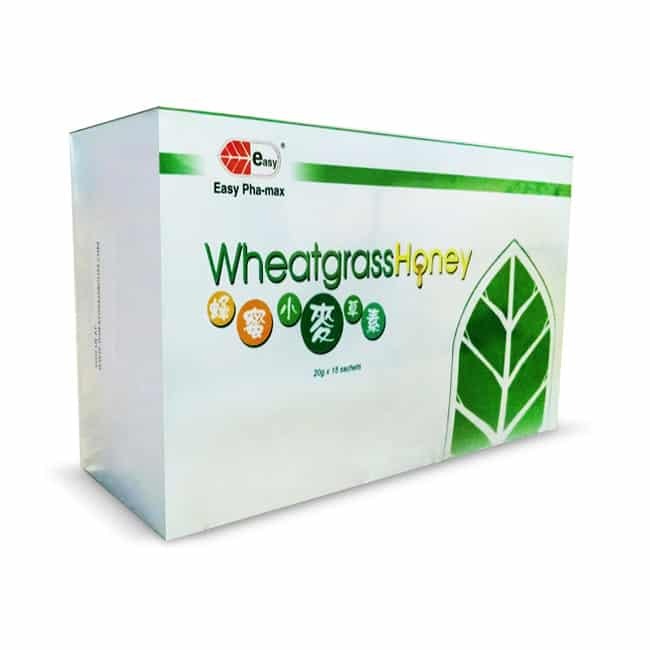 The So Easy 3 Day Colon Cleanse is a Wheatgrass based cleanse with only the right ingredients that work together such as vegetables, fruit, oil palm fiber, red rice and many other nutritional ingredients. These ingredients are broken down into powder form to drink so you are not starving/fasting your body for the 3 days. Mucoid Plaque (also known as chronic feces) is created when the body produces mucus to protect itself from potentially toxic substances. Mucoid Plaque is a health threat by reducing the absorption of nutrients, impairing digestion, providing a haven for parasitic microorganisms, behaving as a reservoir of toxins. My experience with the cleanse was amazing! I lost 8 lbs in 3 days! I was never hungry and was excited to see my stomach reduce in size in such a short time. I felt lighter and my face was radiant and clean from the elimination of all the toxins in my body! I highly recommend this cleanse to everybody. It’s amazing how I was able to lose 10 lbs in less than 3 days. My blood pressure lowered from 160/80 to 140/70! The bio cleanse does exactly what is advertised it helped my vision cleared up my sinuses and also affected my thought process I feel younger I sleep better and i feel calmer after releasing all those bad toxins I am well pleased with the product I also lost 8 lbs.